With a competitive tax system, stable political environment and skilled workforce, Switzerland is home to a large number of corporations (including major corporations) and to important subsidiaries of many large international groups across a broad range of industries. Consequently, there is very frequently a Swiss component to lending and secured finance transactions of international groups. The corporate lending market in Switzerland is a well-developed and stable market with experienced participants (banks, borrowers and advisers). Where Swiss borrowers are involved, the market is largely in the hands of banks (Swiss and non-Swiss). On occasion, certain other professional investors (e.g., pension funds and insurance companies) are also involved in the corporate lending market in Switzerland, but this is not often the case. On leveraged finance transactions (especially transactions arranged in the United States but with a Swiss component), it is not uncommon to see specialised lending entities (e.g., collateralised loan obligations funds) participate in such transactions. Over the past few years, including during the financial crisis, the Swiss corporate lending market has managed to remain stable. It has not had much of a downturn and has seen a low number of distressed borrower situations. Recently, a large number of refinancing transactions and a significant uptrend in acquisition financing transactions could be observed in Switzerland. Also, it appears that non-Swiss banks are more active again in the Swiss market than during the peak of the financial crisis. Regulatory developments have not recently had a major impact on the corporate lending market in Switzerland and on documentation. However, the increased capital and liquidity requirements applicable to Swiss banks do have an impact in particular. The regulatory efforts aimed at reducing the balance sheets of major banks (e.g., the leverage ratio) have the effect of putting a limit on the overall volume of available credit. Also, increased attention is paid, on occasion, to collateral aspects of lending transactions to ensure that the particular transaction can be treated as a secured transaction for regulatory purposes. Other regulatory areas that have gained more attention in the context of corporate lending transactions generally are the areas of sanctions and anti-corruption regimes. Under Swiss domestic tax laws, interest payments by a Swiss borrower under a bilateral or syndicated financing are, as a rule, not subject to Swiss withholding tax if the Swiss tax law rules commonly referred to as the ‘Swiss non-bank rules’ are complied with. c a Swiss obligor has, on an aggregate level (i.e., not on a transaction-specific level), more than 100 creditors that are licensed as banks, under financings that qualify as deposits within the meaning of the relevant rules (the ‘100 non-bank rule’). A breach of the Swiss non-bank rules can result in the applicability of Swiss withholding taxes (currently at a rate of 35 per cent). Such taxes would have to be withheld by the Swiss obligor. 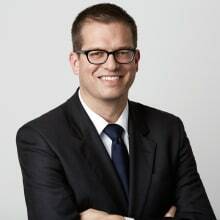 Also, a standard gross-up clause may, in light of a related prohibition in the Swiss Withholding Tax Act, not be valid and enforceable in Switzerland, in particular where the reason for the withholding tax is a breach of any of the Swiss non-bank rules. A particular tax at source applies to payments secured by Swiss real estate when made to non-Swiss lenders, unless exempted under the applicable double taxation treaty. No stamp and documentary taxes are payable in Switzerland in respect of the execution or delivery of loan and security documentations as a condition to the legality, validity, enforceability or the admissibility in evidence thereof in Switzerland. Notary fees and registration duties may be payable with respect to documents that are drawn up as public deeds, or need to be filed with a registry (e.g., security on real estate, title retention). Where participations in a loan are evidenced by debt recognitions or instruments that are taxable under the Swiss Stamp Tax Act, a transfer thereof made by securities dealers (as defined in the Swiss Stamp Tax Act) as a principal or intermediary are subject to Swiss federal turnover taxes. Finally, it has become common practice in the Swiss market to insert Foreign Account Tax Compliance Act provisions in cross-border financing transactions. 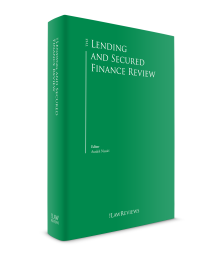 These provisions are largely based on the corresponding recommendations published by the Loan Market Association but typically provide for certain changes that have become market practice in Switzerland. Taking a valid and enforceable security interest over assets and rights located in Switzerland or governed by Swiss law typically requires that appropriate security agreements governed by Swiss law be entered into. As a matter of Swiss conflict of laws rules, the security provider and the secured party are generally free to choose the governing law of the security documents (with certain exceptions). However, Swiss conflict of laws rules typically provide that such a choice of law is not enforceable against third parties, including the creditors of the security provider. Given the importance of enforceability of collateral, it is, therefore, market practice for assets and rights located in Switzerland or governed by Swiss law to create the required security interests pursuant to security documents governed by Swiss law and providing for jurisdiction in Switzerland. Swiss law does not allow the taking of a floating charge or ‘blanket’ security (or similar security concepts), namely the granting of a security interest over all or substantially all assets and rights of the security provider, irrespective of their type or nature. Swiss law provides that, for a security interest to be validly granted, the assets and rights to be covered by such a security interest have to be clearly identified or identifiable and the substantive requirements for each type of assets or rights have to be complied with. This is one of the reasons for which it is market practice in Switzerland that separate security documents are prepared for each security asset class and one does not see, in the Swiss market, single security documents in relation to all or various asset classes. The exact scope of a Swiss security package is determined on a case-by-case basis and is driven by a number of factors, including what are the meaningful assets of the particular security provider. The following assets classes are typically considered: shares, bank accounts, receivables and other contractual rights, real estate, intellectual property rights and, on occasion, tangible movable property. The creation of a security interest over shares of a Swiss company (either a corporation limited by shares or a limited liability company) takes the form of a pledge. The creation of a valid pledge over shares of a Swiss company requires the parties to enter into a written pledge agreement. There is no requirement for such an agreement to be notarised and it can be entered into in counterparts. The requirements for creating a share pledge governed by Swiss law depend on whether the shares have been certificated or whether they have been dematerialised. Also, certain special rules apply where shares constitute book-entry securities within the meaning of the Swiss Book-Entry Securities Act. If the relevant shares are certificated, the creation of the pledge requires that the physical share certificates be delivered to the pledgee or its agent. If the shares are registered shares the share certificate must be endorsed or assigned (and it is customary to require that the share certificate delivered to the pledgee be endorsed in blank by the pledgor). If the relevant shares are dematerialised (i.e., not certificated), the perfection of the pledge requires that the pledgee and the bank holding the pledged shares in custody enter into a written control agreement, whereby the bank will act for all practical purposes as pledge holder for the benefit of the pledgee. Registered shares of Swiss corporations are often subject to share transfer restrictions (i.e., provisions that condition the transfer of title to the shares to the approval of the board of directors of the issuer of the pledged shares). As the board of directors of the issuer may not be cooperative in an enforcement scenario, it is customary for secured lenders to require that any such transfer restrictions be removed prior to the pledge being granted. Eliminating share transfer restrictions requires an amendment to the articles of association, which requires, among other things, a shareholders’ meeting held before a notary public. This process takes some time and it is, therefore, best to address this issue early in the process. Share pledge agreements very typically also contain provisions dealing with the exercise of voting rights and rights to any dividend payments. Typically, the pledgor retains the right to vote the pledged shares as long as no event of default (or similar event) has occurred. Voting rights can then be exercised by the pledgee or its agent upon the occurrence and during the continuance of such an event. With respect to dividend rights, such rights are also typically pledged, but it is customary to provide that the pledgor is entitled to collect dividends as long as no event of default has occurred. It is often also provided that dividend payments are to be made to a pledged account. The creation of a security interest over a bank account is somewhat a misnomer in that the actual asset on which a security interest is created is the claim of the bank account holder against the bank for any amount standing to the credit of the bank account. Creating a security interest over a bank account can take the form of a pledge or of an assignment for security purposes. Both types of security require a written agreement (no notarisation is required), and no other step is legally required for perfecting such a security interest. However, until the account bank is notified of the security interest, it may freely pay any amount due to the account holder or to a designated payee. It is, therefore, customary to notify the account bank of the creation of the security interest with the ensuing result that the account bank may then only discharge its payment obligations towards the account holder with the consent of the secured creditor. Bank accounts held with Swiss account banks are governed by the general terms and conditions of the relevant bank. The general terms and conditions typically provide for a general pledge and right of set-off in favour of the bank. Unless the general pledge and right of set-off are waived by the account bank, they rank senior to the security interest of the secured lenders. It is, therefore, customary for secured lenders to request that the general pledge and right of set-off be waived. As banks are often reluctant to waive such rights, it is best to address this issue early in the process and the compromise is often to seek and obtain a waiver, which is subject to reasonable fees of the account bank having priority. Creating a security interest over receivables or other contractual rights can take the form of a pledge or of an assignment for security purposes. Both types of security require a written agreement (no notarisation is required) and no other step is legally required for creating such a security interest. As for bank account security, the notification of the security interest to the debtor of the receivables is not a requirement for the validity of the security interest, but is advisable to protect the secured lenders. There are two other reasons for which an early notification is in the interest of the secured lenders: without notification, the assigned debtor can (1) validly raise against the assignee any defence or objection (including set-off) it could have raised against the assigned debtor at the time of the assignment notification; and (2) validly set-off against the assignee a claim that was not due at the time of the assignment notification, provided the claim did not become due after the assigned claim. It is, therefore, market practice that the security interest be notified to the assigned debtor, but the timing of the notification depends on the type of receivables or rights. For trade receivables for which there is often some sensitivity on the part of the security provider to see its clients and customers being notified of a security interest, it is often the case that notification is made upon the occurrence of an event of default only or upon it otherwise becoming necessary in the discretion of the secured party to protect the security interest. Also, the security provider is often required to grant a security interest over the bank accounts to which payments are made by the assigned debtors. With respect to intercompany receivables or other rights where there is less sensitivity to immediately disclose the existence of a security interest (such as a security interest over insurance claims), it is customary to provide that the existence of the security interest is notified to the relevant assigned debtor concurrently with the entering into of the security document. Under Swiss law, it is possible to create a security interest not only on existing receivables but also on future receivables provided they can be identified upon coming into existence. The Swiss Supreme Court has ruled that this requirement is satisfied when such future receivables are identified as arising in the ordinary course of the business of the assignor. However, from a practical standpoint, such a designation would be of little use to the secured creditors without a periodic reporting of the grantor of the outstanding receivables, identifying the amount, nature and debtors of the receivables covered by the security interest. Without such information, it may be not be possible for the secured creditors (or their security agent) to notify the security interest to the relevant receivable or right debtors and to enforce or collect the receivables or rights. Creating a security interest over tangible movable property would take the form of a pledge and requires a written pledge agreement (no notarisation is required). As perfection of the pledge over tangible movable property requires the security provider to transfer possession over the pledged assets to the secured lenders (or their security agent), taking a security interest over operational movable assets (such as inventory, work in progress or industrial tooling) is usually not compatible with operational requirements of the security provider and is therefore an infrequent form of security in Switzerland. Where the security provider stores tangible movable property with third parties (e.g., an oil refiner storing crude or refined products in storage capacities owned by a storage operator), it may be possible to create a valid security interest over the tangible movable property with the third parties acting as pledge holders. In the context of secured lending, taking a security interest over real estate located in Switzerland usually takes the form of a transfer for security purposes of a mortgage note charging the relevant real estate property. Secured lenders should pay attention to restrictions that may affect residential real estate deriving from the Swiss Federal Law on Acquisition of Real Property by Foreigners. Also, as mentioned in Section III, a tax at source may apply to interest payments secured by Swiss real estate when made to non-Swiss lenders (exceptions under applicable double taxation treaties). Creating a security interest over intellectual property rights would take the form of a pledge and requires a written pledge agreement (no notarisation is required). From a Swiss law perspective, no other step is generally required for perfecting such a security interest, bearing in mind that with respect to registered intellectual property rights (trademark, patents, design rights) such a pledge would only become enforceable towards good-faith third parties upon the pledge being registered with the relevant intellectual property register. In practice, such a registration is often a post-closing item. It is possible under Swiss law that security is granted to, and held by, an agent and security documents can be drafted such that it is not necessary to amend them upon a change of the secured parties. Where the security interest is a security assignment or a security transfer, the security agent can act in its own name for the benefit of the secured parties. Where the security interest is a right of pledge, it is necessary that the security agent act as direct representative of the secured parties (i.e., in the name and on behalf of the secured parties). The reason for this is that a Swiss law pledge is accessory in nature, meaning, among other things, that the secured party must be identical to the creditor. This can be achieved by having the security agent act as a direct representative, which is the standard approach in Switzerland when accessory security interests are involved (with exceptions for very specific transactions, where it might be necessary to adopt another approach). An alternative approach would be to create a parallel debt and to secure this parallel debt, as this is done in a number of other jurisdictions. However, the concept of parallel debt remains untested in Switzerland and doctrine is scarce. It is for this reason that the parallel debt concept is not frequently used in Swiss security documents (at least not on a stand-alone basis). Swiss law distinguishes two types of guarantee instruments: the guarantee (Article 111 of the Swiss Code of Obligations) and the suretyship (Article 492 et seq. of the Swiss Code of Obligations). Article 111 of the Swiss Code of Obligations provides that whoever promises to another the performance by a third person of a certain act is obligated to compensate him or her for the financial prejudice arising therefrom if the performance does not occur. Under Swiss law, a guarantee is an undertaking independent of the validity of the guaranteed obligation between the debtor and the creditor, in other words it constitutes a primary and independent obligation that typically is not subject to any defence or objection that relates to the guaranteed obligation. No specific form is required under Swiss law for a guarantee, although the written form is usual. The indication of the maximum amount guaranteed is not required. A suretyship is an obligation of an accessory nature. Its validity depends on the validity of the underlying obligation. Therefore, a guaranteed party is only in a position to exercise its rights under a suretyship to the extent the underlying obligation is valid, due and enforceable. As a result, a surety is subject to the defences and objections of the debtor of the underlying obligation. A ‘simple suretyship’ requires that the principal debtor be adjudicated bankrupt or subject to composition proceedings before it can be acted upon. A ‘joint suretyship’ allows the guaranteed party to act upon default of the debtor under its primary obligation. Formal requirements are required in connection with suretyship agreements, such as that it be made in writing and provide for a maximum amount. In practice, the form of the guarantee is the dominant form in a corporate lending context. Also, in the context of international secured financing transactions where the facility agreement would often be governed by English law or New York law, a guarantee provided by a Swiss guarantor would typically also be governed by English law or New York law as there is no requirement under Swiss law that the guarantee issued by a Swiss guarantor be governed by Swiss law. with respect to trade receivables or other receivables, the order of priority is set by chronological order with the first security interest granted being senior to any security interest granted subsequently. Subordination is typically effected by contractual agreement in the intercreditor agreement. In the context of group-wide financing transactions or acquisition financing transactions, it is common practice for lenders to request that all significant group companies provide guarantees or other security interests. It is the prevailing view in Switzerland that the provision of upstream guarantees (i.e., guarantees for obligations of direct or indirect shareholders of the guarantor) and cross-stream guarantees (i.e., guarantees for obligations of sister companies of the guarantor) is subject to a number of requirements and restrictions. Essentially, it is held that such guarantees should be treated as the equivalent of a dividend distribution as far as formal and substantive requirements and limitations are concerned. The key implication of this is that upstream and cross-stream guarantees are, in practice, limited to the amount that the guarantor could distribute to its shareholders as a dividend at such time as payment is demanded under the guarantee. This limitation is sometimes referred to as the ‘free equity limitation’. Also, payments under upstream or cross-stream guarantees may be subject to tax implications, including Swiss withholding tax implications. Downstream guarantees (i.e., guarantees for obligations of subsidiaries of the guarantor) are not typically subject to restrictions. Exceptions are possible under certain circumstances, for instance, if the subsidiary is not a wholly owned subsidiary of the guarantor or if the subsidiary is in significant financial distress. The requirements and limitations applicable to upstream and cross-stream guarantees, as referred to above, are also applicable to upstream and cross-stream security interests. Where, in the context of an acquisition, a Swiss entity (e.g., the target) provides guarantees and security interests for obligations of the acquirer (which will become the parent company of the Swiss target as a result of the acquisition), the Swiss security package would be upstream in nature and thus subject to the various requirements and limitations, including the free equity limitation referred to above. Other issues may arise in such transactions, especially where there are minority shareholders at the level of the target. A number of steps are taken in practice to bolster the validity of an upstream security package and to mitigate, as far as possible, the imperfections of such security packages. The starting point is to make sure that the articles of association of the Swiss entity explicitly permit upstream undertakings. It is also important to ensure that the finance documents and the transactions contemplated thereby are properly approved by the relevant corporate bodies. In addition, finance documents will typically address the free equity limitation and certain Swiss withholding tax law points, and they will also typically provide for certain undertakings and assurances by the security provider to mitigate, as far as possible, the upstream limitations. Furthermore, parties are typically advised, for corporate law and tax law reasons, to compensate the Swiss entity for the granting of the upstream security package by means of a guarantee fee or security fee. Under Swiss conflict of laws rules, parties have extensive freedom to agree on the law that should govern their loan documentation, along with the pertaining security documentation. With respect to the latter, certain limitations apply as set out under Section IV. Further, parties have flexibility to agree on a foreign jurisdiction with respect to their loan and security documentation. Final decisions for monetary claims of competent foreign courts are recognised in Switzerland either on the basis of particular treaty law (such as the Lugano Convention) or Swiss international private law, provided that the proceedings leading up to the decision comply with basic principles of fair process (as described under the treaty or Swiss international private law) and the decision as to its substance does not violate Swiss public policy. As a rule, finance parties request legal opinions in international financing transactions, but it is also standard practice for domestic syndicated financing transactions and for domestic bilateral financing transactions of a certain significance. Such opinions may be limited to the capacity of a Swiss party to enter into a financing transaction (maybe also choice of law and jurisdiction), but more often the request for such opinions will be to cover all aspects of the legality and validity of Swiss law documents or the creation and perfection of a Swiss law security interest created thereunder, as well as the enforceability of the loan and security documentation against a Swiss party and the due authorisation and execution of the loan and security documentation by the Swiss party. 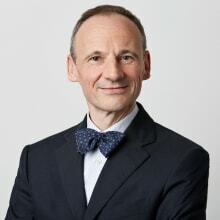 Tax opinions, typically on the absence of the need for a Swiss obligor to make any withholding or deduction from its payments, are requested as well. There are no firm rules as to which counsel renders what opinion. It is, however, more common in practice for the lenders’ Swiss counsel to render the enforceability opinion. 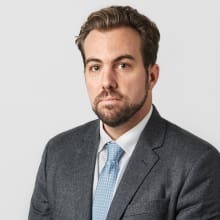 At times, capacity, due authorisation and execution are carved out from the enforceability opinion and covered in a separate capacity opinion rendered by obligors’ Swiss counsel. The addressees of such opinions are the finance parties at signing and with limitations (e.g., primary syndication) persons that become finance parties after signing. Opinions may typically be disclosed, but not be relied upon, where legally required, or to regulators or advisers of a finance party and also to affiliates of a finance party. In Switzerland, the most common methods of loan trading are assignments of the rights of an existing lender under a particular financing to a new lender (or to another existing lender) and transfers of all rights and obligations of an existing lender under a particular financing to a new lender (or to another existing lender). Sub-participations and other form of credit risk exposure transactions are also seen from time to time in Switzerland but not very frequently (and rarely only where the underlying financing transaction is a domestic transaction, i.e., a transaction without participation of non-Swiss banks). No institutionalised markets exist in Switzerland for loan trading. The loan trading market in Switzerland is a bilateral market. Also, borrowers very typically have a consent right to any trading transactions in their loans (save for an event of default scenario), meaning that borrowers very typically need to get involved when loans are traded. Also, in light of the ‘Swiss non-bank rules’ (see the relevant summary under Section III), facility agreements will typically provide for certain restrictions applicable to loan trading transactions (e.g., a limitation on the maximum number of non-bank lenders in the syndicate and restrictions on the types of permissible credit risk exposure transactions). Also, in structured transactions, tax rulings are obtained on occasion. No legal or regulatory developments are currently pending in Switzerland that are expected to have a major impact on the Swiss lending market and its documentation. The low interest rate environment will likely continue to be a factor that has an impact on the corporate lending market. Also, the debt capital market has been fairly open recently, including to issuers that may not have been able to tap the debt capital market in the past. 1 Patrick Hünerwadel, David Ledermann and Marcel Tranchet are partners at Lenz & Staehelin.